The Bangerang Cultural Centre, originally known as the Aboriginal Keeping Place, was built as part of the International Village project in Shepparton. First conceived in 1974, the Keeping Place was finally opened in 1982 after many years of planning. The International Village was set up in 1974 as a tourist attraction by the Shepparton Council to celebrate the contributions of different ethnic groups. A space was allocated to the local Aboriginal community for an arts and crafts centre. The community, and in particular John (Sandy) Atkinson, OAM, a leading figure in Aboriginal organisations, had a more imaginative plan to set up their own museum or keeping place which would display artefacts and provide a resource centre for educating people about the cultural heritage of the Aboriginal people. The Aboriginal Arts Board of the Australia Council, to which Sandy Atkinson was appointed in 1976, met with the local community with the result that the Shepparton Aboriginal Arts Council Co-operative was set up with funding by the Arts Board. The Co-operative, managed by Sandy Atkinson, spent many years convincing organisations and individuals to commit to their visionary plan. Shepparton Council set aside a grant of $70,000 and provided the land on the site. Subsequently in July 1978 a deputation visited the Premier of Victoria Rupert Hamer to seek a firm commitment to the project by the State Government. The deputation headed by the leader of the Country Party, Peter Ross Edwards, included the Chairman of the Australia Council, Geoffrey Blainey; Sandy Atkinson; and the Mayor of Shepparton, Murray Slee. As a result the Government allocated $170,000 towards the building. The Australia Council and the Aboriginal Arts Board provided an additional $140,000. The innovative architect Robin Boyd (1919-1971) had designed a circular interpretation centre at Tower Hill, Koroit in 1962, although it was not completed until 1970. When Sandy Atkinson visited the centre at the suggestion of Shepparton identity Mr Kilgour, he was inspired to contact Boyd's partner Frederick Romberg who agreed to design the building, with assistance from Ken Edelstein. 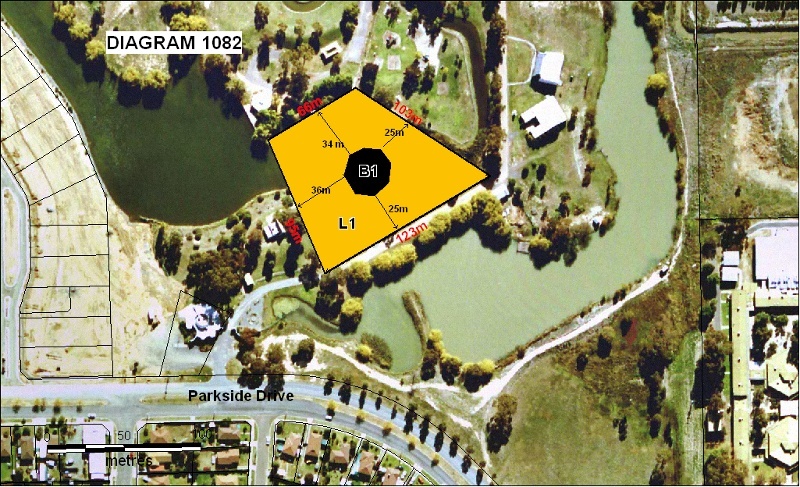 The plans were drawn up in 1979 and the successful tenderer was KG Renwick Holdings Pty Ltd of Deniliquin. Sandy Atkinson saw the building as a circle, an important symbol in Aboriginal culture. Romberg translated this idea into a brick octagonal building originally with a wide cedar shingle roof lit by skylights and surrounded by a timber colonnade. The windows are narrow and full height. Internally the space is divided into eight bays housing the four dioramas and other display areas. There is a theatrette and a mezzanine level containing storerooms and office space. Due to failure of the shingles, the original roof was replaced by the Rotary Club with the existing metal sheet roof. The building was deliberately sited in a prominent position near the entrance to the International Village and set in landscaped undulating grounds partly encircled with water. A grassed amphitheatre was established to stage cultural events. It was originally intended that a bush garden would surround the building with edible fruits and plants. Although this did not eventuate, cumbungi reeds (Typha sp.) were planted along the waterways to provide the material for spear making and basket weaving. The Centre, housing a range of cultural items from both the local area and other parts of Australia, continues to run as a museum and cultural centre operated by the Bangerang Cultural Centre Co-operative Ltd.
Bangerang Cultural Centre is of historical, social and architectural significance to the State of Victoria. 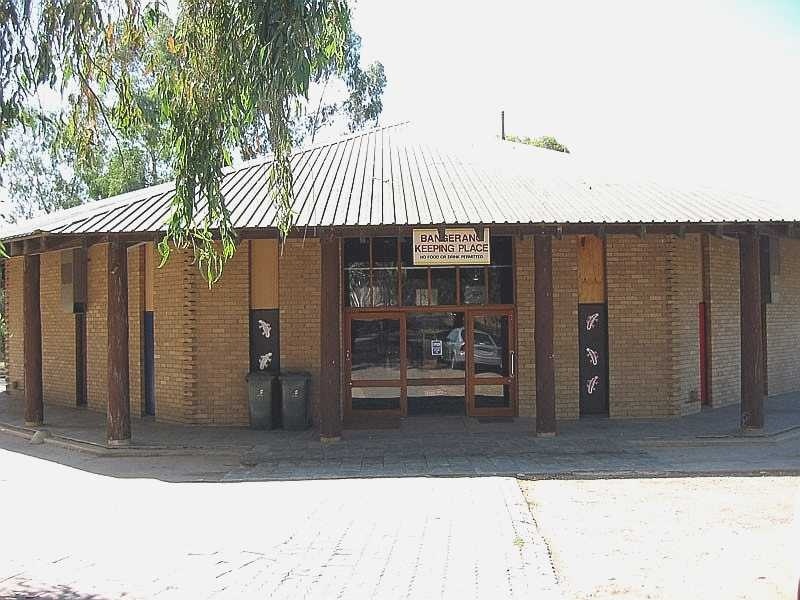 Bangerang Cultural Centre is historically significant as an important landmark in the struggle of the Aboriginal people to maintain their own culture. As the first Aboriginal managed museum in Victoria to be planned, the Centre is a tangible symbol of the shift of attitude in society from the idea of assimilation to self-determination. The idea for a Keeping Place was conceived in the early 1970s in a climate of increasing consciousness of Aboriginal conditions and issues. In Victoria a long campaign for community control at Lake Tyers Reserve had resulted in the Aboriginal Lands Act 1971 which transferred land deeds to the Lake Tyers and Framlingham communities. The Shepparton Keeping Place was an early and innovative idea for a museum which empowered Aboriginal people to interpret their own heritage for indigenous and non-indigenous people. Bangerang Cultural Centre is historically significant for its collection of four dioramas: Bogong Moths, River Economy, Mount William Technology and Corroboree which feature life size figures engaged in traditional aspects of Aboriginal life. The figures are copies of the Museum of Victoria 19th century lifecasts made from members of the Yarra tribe of Melbourne. The dioramas were the work of Victorian artist George Browning (1918-2000), graduate of the National Gallery of Victoria School and RMIT. As an official war artist attached to the Military History Section in New Guinea and Borneo from 1943 to 1946, he not only produced a substantial collection of paintings and drawings but after the war he also worked extensively on the Australian War Memorial dioramas, as well as work for the Museum of Victoria. 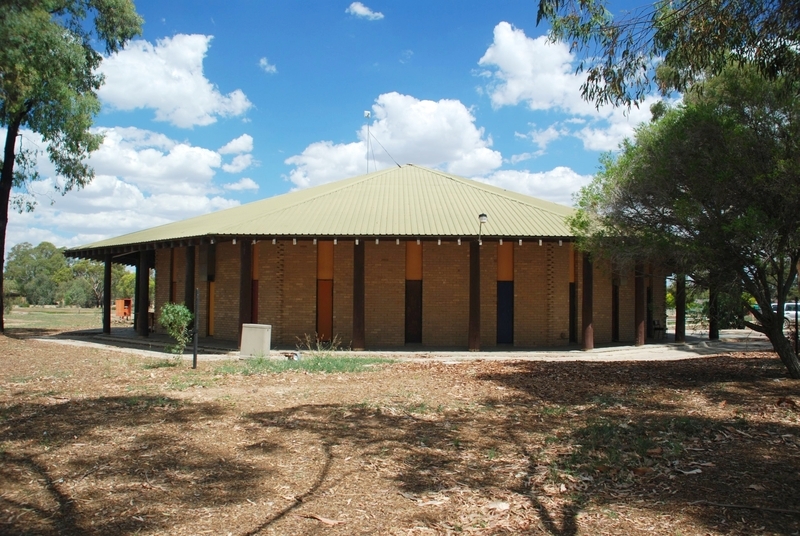 Bangerang Cultural Centre is of social significance for the important role it has played for many Aboriginal people in preserving their identity and raising awareness of indigenous culture. It has assisted in maintaining the cultural heritage of descendants of the Bangerang people. The Bangerang tribe of Northern Victoria consisted of ten different clan groups living in the region between the Murray and Goulburn Rivers. Bangerang Cultural Centre is architecturally significant as a work of renowned architect Frederick Romberg (1913-1992). Romberg was a partner in the innovative firm of Grounds, Romberg and Boyd from 1953 to 1962; and later with Romberg and Boyd. In 1965 Romberg was appointed Professor of Architecture at the University of Newcastle, returning to Melbourne in 1975. The modest Keeping Place is perhaps the most interesting work from the latter part of his career. Architectural historian, Harriet Edquist has suggested that the Keeping Place, designed after Boyd's death in 1971, could be Romberg's homage to his partner. That such a ground-breaking architect as Romberg was chosen for the Keeping Place project adds to our appreciation of this place as an innovative project ahead of its time. Bangerang Cultural Centre, Parkside Drive, Shepparton, Greater Shepparton City Council. 1. All the building known as the Bangerang Cultural Centre marked B1 on Diagram 1082 held by the Executive Director. 2. All the following objects: four dioramas (including figures). 3. All the land marked L1 on Diagram 1082 held by the Executive Director, being part of the land described in Certificate of Title Volume 10591, Folio 689. General Conditions: 1. All exempted alterations are to be planned and carried out in a manner which prevents damage to the fabric of the registered place or object. General Conditions: 2. Should it become apparent during further inspection or the carrying out of works that original or previously hidden or inaccessible details of the place or object are revealed which relate to the significance of the place or object, then the exemption covering such works shall cease and the Executive Director shall be notified as soon as possible. General Conditions: 3. If there is a conservation policy and plan approved by the Executive Director, all works shall be in accordance with it. Note: The existence of a Conservation Management Plan or a Heritage Action Plan endorsed by Heritage Victoria provides guidance for the management of the heritage values associated with the site. It may not be necessary to obtain a heritage permit for certain works specified in the management plan. General Conditions: 4. Nothing in this declaration prevents the Executive Director from amending or rescinding all or any of the permit exemptions. General Conditions: 5. Nothing in this declaration exempts owners or their agents from the responsibility to seek relevant planning or building permits from the responsible authorities where applicable. Minor Works : Note: Any Minor Works that in the opinion of the Executive Director will not adversely affect the heritage significance of the place may be exempt from the permit requirements of the Heritage Act. A person proposing to undertake minor works may submit a proposal to the Executive Director. If the Executive Director is satisfied that the proposed works will not adversely affect the heritage values of the site, the applicant may be exempted from the requirement to obtain a heritage permit. If an applicant is uncertain whether a heritage permit is required, it is recommended that the permits co-ordinator be contacted. An investigation is first undertaken by a professional conservator to assess the feasibility of the safe removal of the dioramas. A request for relocation of the dioramas is made by the Bangerang Cultural Centre Board. The dioramas will be re-used for display and educational purposes by the Bangerang Cultural Centre Board in another building. An annotated professional photographic record of the dioramas is made prior to their removal, in accordance with the Heritage Victoria photographic guidelines. The completed record is to be forwarded to the Executive Director for approval and permanent archiving prior to the relocation of the dioramas. •Removal of extraneous items such as external lighting, air conditioners, pipe work, ducting, flues, wiring, antennae, aerials, fly screens and louvres etc, and making good. •Installation or removal of external fixtures and fittings such as, hot water services and taps. •Painting of previously painted walls and ceilings provided that preparation or painting does not remove evidence of any original paint or other decorative scheme. •Installation, removal or replacement of carpets and/or flexible floor coverings. •Installation, removal or replacement of curtain tracks, rods and blinds. •Installation, removal or replacement of hooks, nails and other devices for the display of artefacts and hanging of works of art. •Demolition or removal of non-original stud/partition walls, suspended ceilings or non-original wall linings (including plasterboard, laminate and Masonite), bathroom partitions and tiling, sanitary fixtures and fittings, kitchen wall tiling and equipment, lights, built-in cupboards, cubicle partitions, computer and office fitout and the like. •Removal or replacement of non-original door and window furniture including, hinges, locks, knobsets and sash lifts. •Installation of stud walls, which are removable. •Installation, removal or replacement of ducted, hydronic or concealed radiant type heating provided that the installation does not damage existing skirtings and architraves and that the central plant is concealed. •Installation, removal or replacement of electrical wiring. •Installation, removal or replacement of electric clocks, public address systems, detectors, alarms, emergency lights, exit signs, luminaires and the like on plaster surfaces. •Installation, removal or replacement of bulk insulation in the roof space. •Installation of plant within the roof space. •Installation of new fire hydrant services including sprinklers, fire doors and elements affixed to plaster surfaces. •The process of gardening and maintenance, mowing, hedge clipping, bedding displays, removal of dead plants, disease and weed control, emergency and safety works to care for existing plants and planting themes. •Removal of vegetation that is not significant to maintain fire safety and to conserve significant buildings and structures. •The replanting of plant species to conserve the landscape character and plant collections and themes. •Repairs, conservation and maintenance to hard landscape elements, buildings, structures, ornaments, roads and paths, drainage and irrigation system. •Management of trees in accordance with Australian Standard; Pruning of amenity trees AS4373. •Removal of plants listed as noxious weeds in the Catchment and Land Protection Act 1994. •Installation, removal or replacement of garden watering and drainage systems. •Non-structural works that occur at a distance greater than 5 metres from the canopy edge of a significant tree, plant or hedge, (structural works may require a permit if still on the registered land). •Plant labelling and interpretative signage. •Resurfacing of existing paths and driveways. The significance of the Bangerang Cultural Centre mainly resides in its historical and social associations with the Aboriginal community. It has architectural interest as a work of Frederick Romberg. Externally the building is intact with the exception of the replacement of the original cedar shingle roof with a metal sheet roof. Internally the buildings and the dioramas remain highly intact. Any works required for the operation of the museum such as installation of displays and interpretation boards are permit exempt. Alterations which impact on the significance of the exterior and interior of the building are subject to permit applications. The landscape character including the amphitheatre, the waterways and the cumbungi reeds planted along the water make an important contribution to the significance of the place. These elements should be retained and maintained and any proposed changes will require a permit.